Tom is a Partner and the firm’s Head of Arbitration based in the Dubai office. 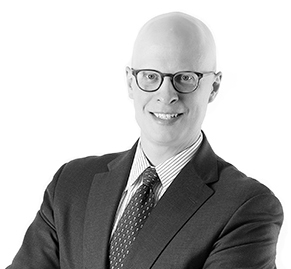 He is experienced in international commercial arbitration, international investment disputes, state-to-state arbitration, and foreign sovereign immunity issues. His experience covers a wide range of industries, sectors, and types of disputes, including oil-and-gas, construction, hospitality, telecommunications, automobile manufacturing, shareholder disputes, and joint-venture disputes. From 2001 to 2009, Tom was a member of the legal team representing the Ethiopian Government before the Eritrea-Ethiopia Claims Commission, an international arbitral tribunal that adjudicated claims for loss, damage and injury arising during an international armed conflict. In this context, he worked as a resident attorney in Addis Ababa for three years. Tom frequently writes on topics involving international law and dispute resolution. Prior to relocating to Dubai, he was a professorial lecturer in law at the George Washington University Law School in Washington, DC. Tom has been recognised multiple times in Who’s Who Legal’s Future Leaders – Arbitration, a listing of the world’s leading international arbitration practitioners under the age of 45. Representing a hotel management company in a DIFC-LCIA Arbitration Centre case involving a dispute with a hotel owner over the termination of a hotel management agreement. Representing a Kuwaiti investor in a Dubai International Arbitration Centre (DIAC) arbitration involving a shareholder dispute with a UAE-based investment company. Representing an African state in International Chamber of Commerce (ICC) arbitration seated in Geneva involving a dispute in the amount of nearly US$1.5 billion over the termination of five petroleum production sharing agreements and resulting in the dismissal of all claims against the client. Representing an African State in an ad hoc investor-state arbitration arising from a taxation dispute in the oil-and-gas industry. Representing a European automobile manufacturer in an ICC arbitration seated in London involving a dispute over a strategic business alliance with an Asian automobile manufacturer. Representing a U.S.-based multinational corporation in an ICC arbitration seated in New York relating to the sale of its business operations in the polyethylene terephthalate (PET) bottling industry in South America, resulting in dismissal of all claims against the client.